The MIC-3667 is a low power, quad-port Gigabit Ethernet XMC based on the Intel® Ethernet Controller I350-AM4. It provides four copper Gigabit Ethernet interfaces at the front panel on RJ45 connectors. With a PCIex4 gen2 host interface, the MIC-3667 can support line rate traffic on all ports. Using intel’s latest controller technology, the card provides a wealth of offload and virtualization support capabilities to minimize the burden of handling network traffic on the hosting platform. With a power dissipation as low as 4W, the MIC-3667 is perfectly suited for use in rugged requirements and applications with passive cooling. The board is prepared for conformal coating required for harsh environments. The MIC-3666 is a low power, dual-port 10 GbE XMC, with SFP pluggable modules for multi-mode and single-mode fiber media and is based on the Intel® 82599ES 10 Gigabit Ethernet controller. The XMC provides a high performance PCIe x8 interface at 5 Gb/s per lane at an outstanding low power dissipation of less than 10W. Support for Intel®'s offloading and platform enhancement features yields maximum network throughput while preserving valuable CPU cycles for application processing. The MIC-3666 features an Intel® 82599 which provides Intel® Virtualization Technology for Connectivity (VT-c) including Virtual Machine Device Queues (VMDq) and PCI_SIG compliant Single Root I/O Virtualization (SR-IOV), helping to reduce I/O bottlenecks, boost throughput, and reduce latency. Where virtualization is required, VMDqs improve performance by offloading the data-sorting burden from the virtual machine manager (VMM) to the network controller. The MIC-3666's specialized features include Layer 2 & 3 security with IPSec & LinkSec; Intel® I/OAT Acceleration Technology v3.0; VLAN tagging, stripping and packet filtering; and TCP, iSCSI, and Fiber Channel over Ethernet (FCoE) offload. 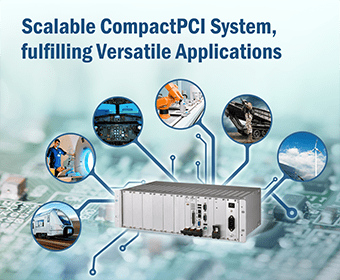 The MIC-3665 is our most powerful CompactPCI® PCI-X 1.0a PCI Mezzanine Card (PMC) with dual high-performance 1000Base-T Gigabit Ethernet interface controller ports. TheEthernet network interface complies with IEEE 802.3 specifications for 1000Base-T, 100Base-TX, and 10Base-T. Full-duplex and half-duplex modes are supported for 10Base-T and100Base-TX. 1000Base-T supports full-duplex mode only. The MIC-3665 is compliant with standard single-wide PMC IEEE P1386.1, PCI 2.3, and PCI-X 1.0a specifications.MIC-3665 incorporates the Intel 82546GB Gigabit Ethernet controller which is able to support 1000 Mbps data rates. The controller is a single, compact component with two completeGigabit Ethernet MAC and PHY layers, and it has a peripheral component interconnect (PCI) interface.Advantech’s MIC-3665 offers two kinds of Gigabit Ethernet interfaces: dual copper RJ-45 interfaces (MIC-3665-A), or dual fiber interfaces (MIC-3665-B). The Gigabit Ethernet fiberinterfaces provide dual integrated low-powered MAC/SerDes (Serializer/Deserializer) functionality.The MIC-3665 addresses applications requiring high-bandwidth system interconnection and PMC form factors, such as, data communication, LAN/WAN, industrial control andtelecommunication applications. The MIC-3927 is a proprietary form factor Chassis Management Module (CMM) intended for use with PICMG* 2.1, 2.16, and 2.9-compliant systems (the CompactPCI* Hot Swap, Packet Switching Backplane, and System Management specifications respectively). The MIC-3927 plugs into a dedicated slot in compatible systems. It provides centralized management and alarm notification for system power supplies and fans as well as single board operation status. The CMM may be paired with a backup for high-availability applications.